Ah religious conspiracies. Can’t get enough of them. In this installment, Graham Philips travels from Israel to Wales in an effort to find out if there is a connection between the Holy Grail and the Virgin Mary. Early on he decides that his first job should be to prove if the Virgin Mary actually existed or was she just an invention? To do this he also has to prove that Jesus existed. Using both the Bible and primary sources, he manages to discover that they did exist but also points out a lot of errors in the Bible’s telling of the story. One of the main points he makes is that the four Gospels all have different accounts of the events. This is something I never noticed myself, lets face it, how many people actually sit down and compare the Gospels for fun? His point is that how accurate can they actually be if they contradict each other, however saying this, he also points out that they were probably not written at the time of Jesus, as most people like to believe but are in fact accounts of the oral history’s of this time, written much much later. This would explain the differences in facts, and also discrepancies regarding the years that events occurred, including the birth of Christ. This event is usually described in the Gospels using other historical events as perspective, for example, the 15th year of X’s reign, etc. Because of this, the birth of Christ varies considerably. I enjoyed reading this book because it made me think of things in a new light. Things which I had accepted such as the Gospels being the same story in different words, which is not necessarily the case. It was a fun read, surprisingly because of this, and I liked the fact that primary sources were used to back up events described, for example there was an astronomical event at that time, which would have caused an especially bright star to appear in the skies for weeks. He also uses Jewish prophecies of the coming of the Messiah to explain why at this particular time, Jesus’s birth would have been significant. On the other hand however, I found that a lot of his “evidence” was based on mistranslations. Some, such as the word for “Virgin” in Greek being very similar to the word to describe a “young woman” could discount the popular belief of an immaculate conception were interesting, however some others especially later on in the book, seemed to be pure speculation and a lot of his theory was based on the fact that the original translators MAY have made a mistake, and if they did, they COULD have meant this instead, so lets presume they did mean this and ignore what they actually wrote. This was used to connect names in primary sources to names from the Bible, which felt in some ways to be a complete shot in the dark. 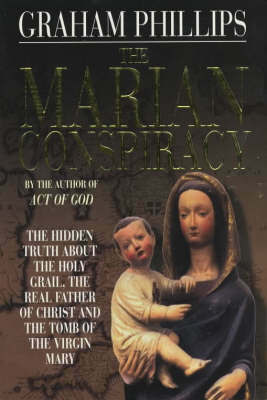 While I enjoyed reading the conspiracy theory, I found the earlier part of the book while exploring Bethlehem and Nazareth to be more plausible than his discoveries of Mary’s life after the crucifixion. But still an interesting read and would be interested in more of his works, taken with a pinch of salt of course!